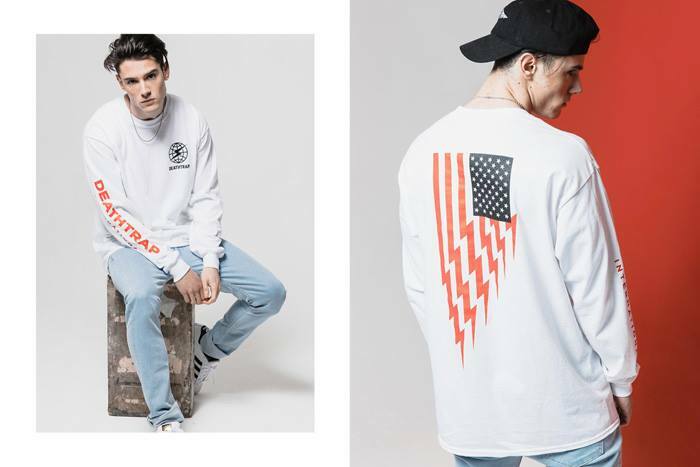 We are always actively on the look out for exciting new brands, in particular from within the UK, to add to our range here at Urban Industry. 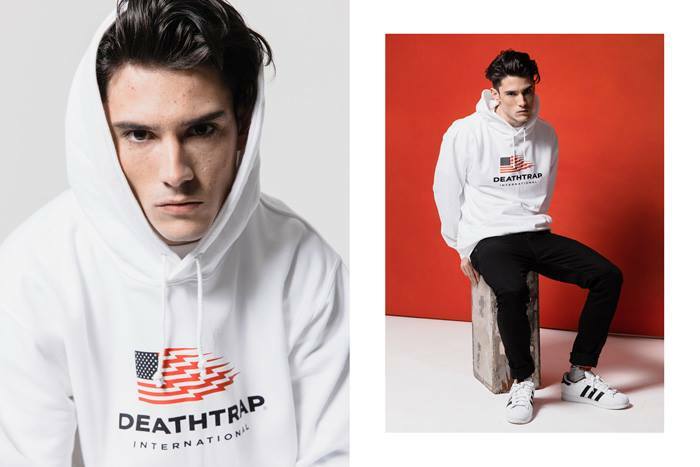 Deathtrap is definitely a brand that has stood out to us in recent times and with consideration towards their designs and themes they incorporate, they have put together a strong selection of apparel for their first ever release this Spring. 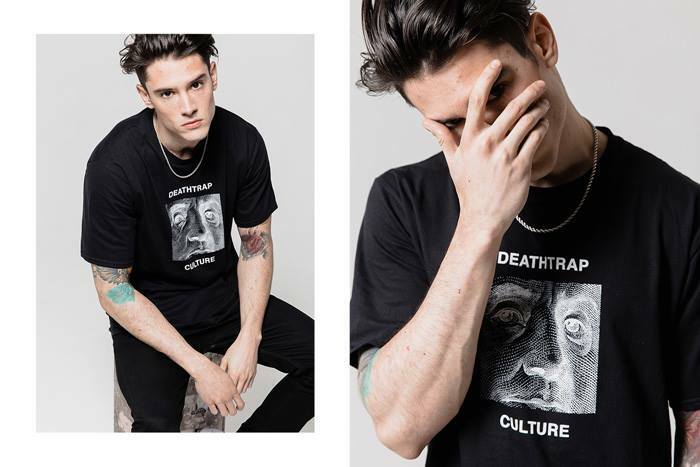 Launched this year, the British brand takes inspiration from the current state of street wear and their perception on the subcultures global movement. 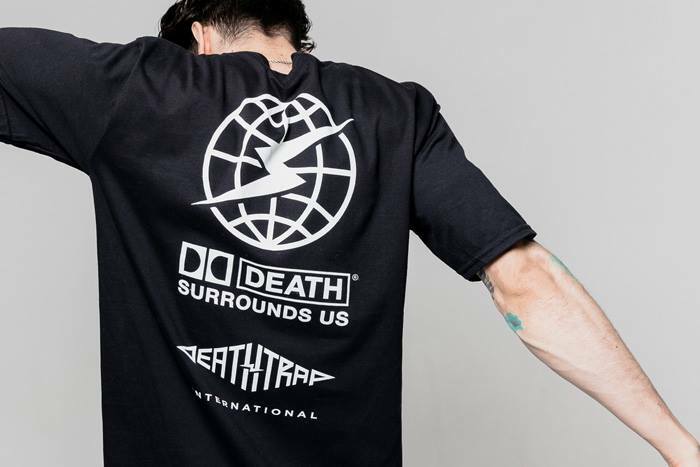 Soon to be arriving with us is Deathtrap’s inaugural release ready for Spring 2015. Drawing from experiences of growing up as a 90’s child and the American influence on our culture, from sports, film music and television, Spring 2015 utilises themes from our transatlantic cousins and applies them using graphic prints across a series of street ready staples. 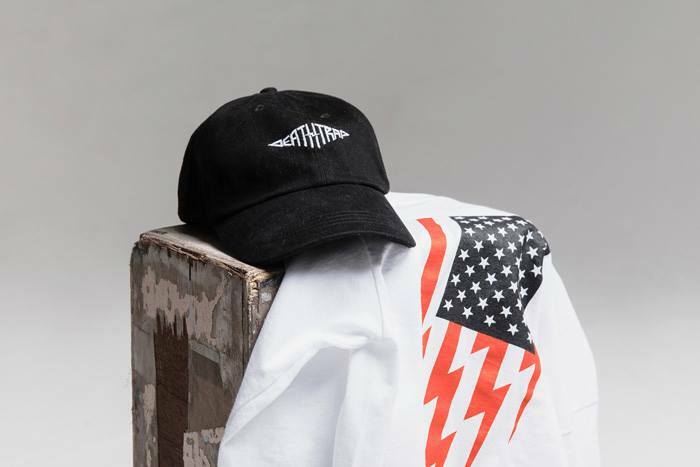 We see bold reworks of the famous stars and stripes and subtle references to $100 bills, in a release that although may seem slightly disjointed from a UK based brands perspective, acts as a physical representation of todays interconnected society’s and how geographical location is no longer a factor when it comes to personal taste and creative influence. 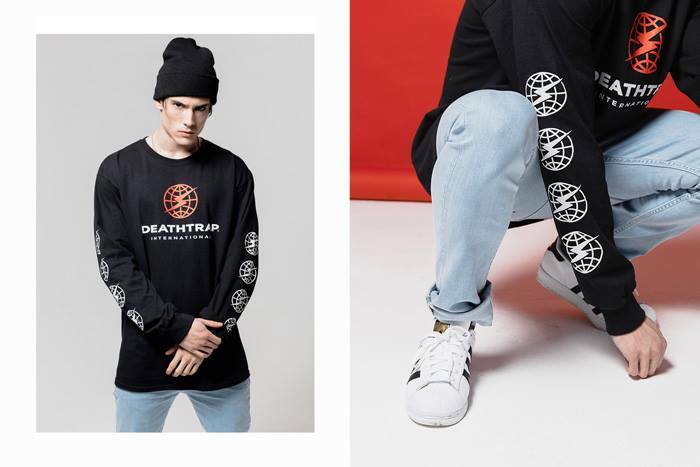 The Deathtrap Spring 2015 collection will be available online shortly. Be sure to follow our social media pages for regular updates.